Caught on the troll with a gold Kastmaster. 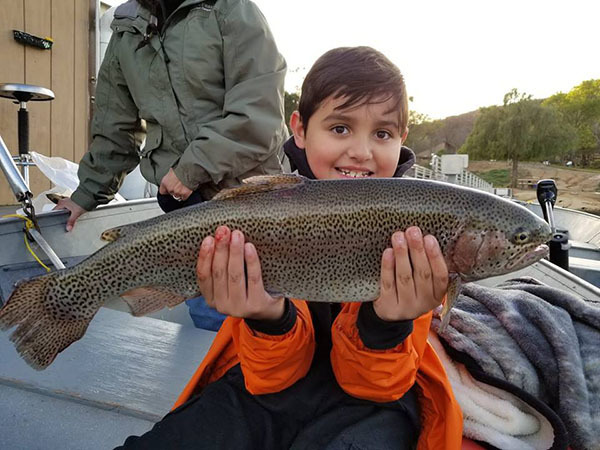 Captain Justin Fleck checked in tonight with an update from Dixon Lake. Today I took Justin Jr trout fishing. 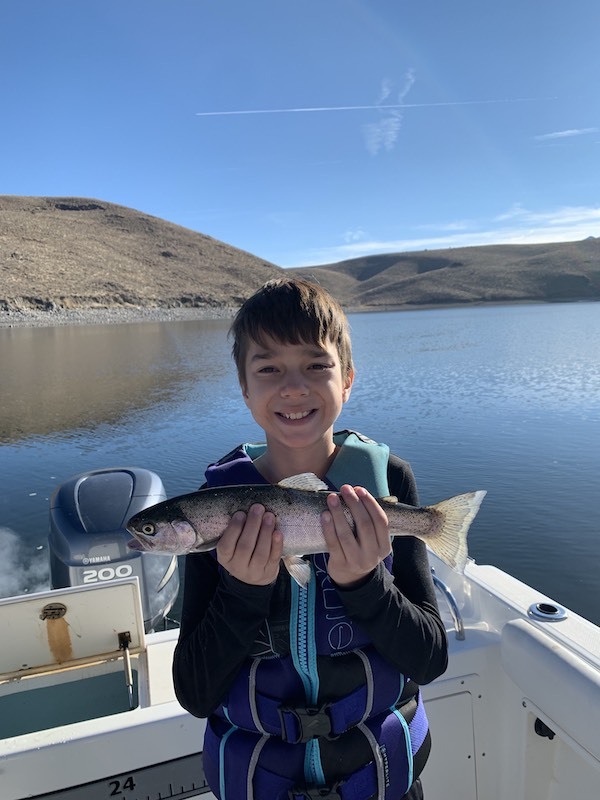 Check out this beautiful 4.5 pound Rainbow caught using a gold Kastmaster on the troll! Thanks for the post!